Few hours after her arrival from the united state of America, Nollywood actress Mercy Johnson jokingly revealed her weight gain battle. 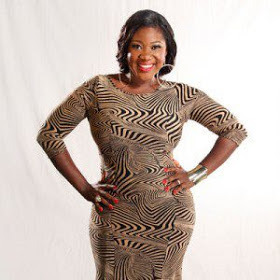 The actress who said her husband now calls her Orobo meaning fat is set to hit the gym to return to her pre-baby shape. She gave birth to a baby girl in the US in December 2012. She just returned to Nigeria after four months. Hi! Mercy, you still look great despite the fact that you just had a baby. But sincerely, you cannot determine you true stature now especially as a married woman until you stop breastfeeding your baby. Please do not stress yourself for the sake of looking slim. Gym, yes, but not until you stop breastfeeding your baby like I said above. Remember health is wealth. Love you sis.